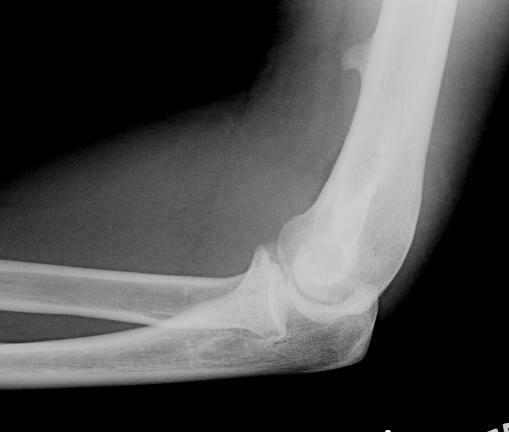 Osseous spur, which points towards the elbow joint is a normal variant present in 1-2% of the population. This spur may cause mass effect on the median nerve and result in pain symptoms. 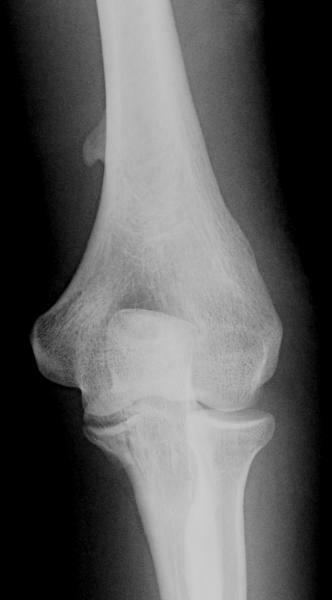 Osteochondroma (usually points away from the joint).